New lower Price! The beauty of wheat grass without the hassle! Now at a lower price! 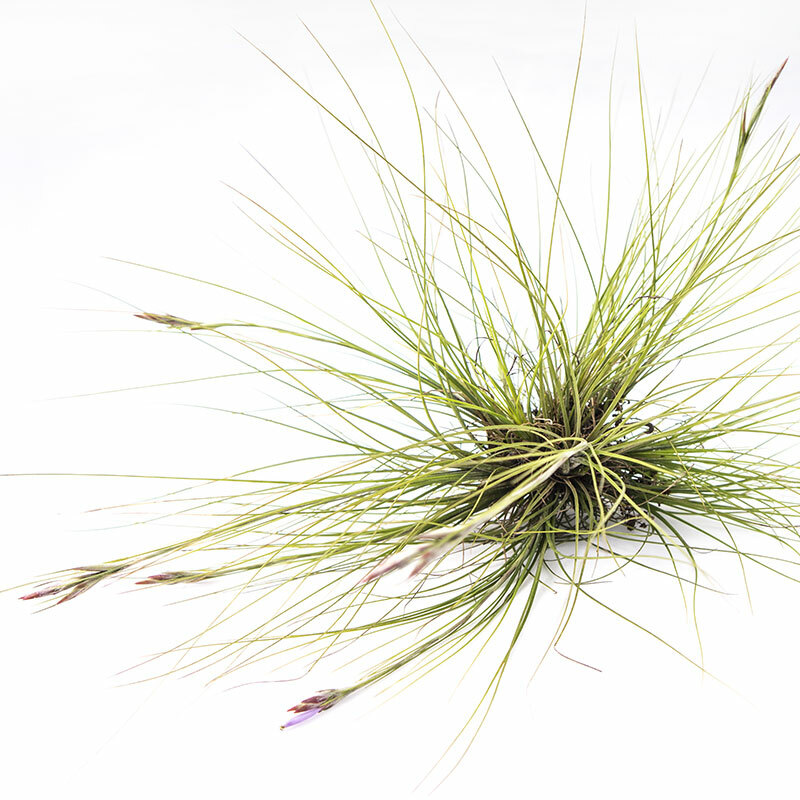 Tillandsia setacea, or the air plant known as Southern Needle Leaf, is perfect for those who want to add life to a room but don't want to fuss over a finicky plant. 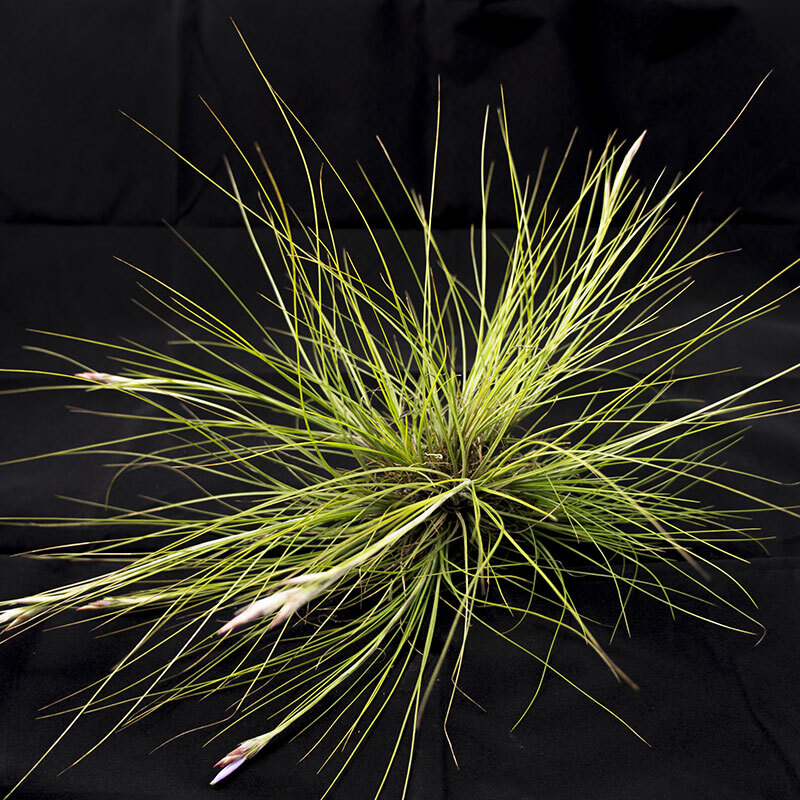 This beautiful air plant can grow indoor or out, in full sun or low light. It's leaves are reminiscent of pine needles and it develops ling flower spikes with delicate 1/2 - 1" lavender blooms. It grows wildly in our forest here in Florida and Morningwood Growers is one of the very few nurseries licensed to harvest, propagate, and sell this wonderful plant. Tillandsia setacea will do fine sitting on a shelf, mounted to wood or stone, or even put in a pot with no potting mix or soil! 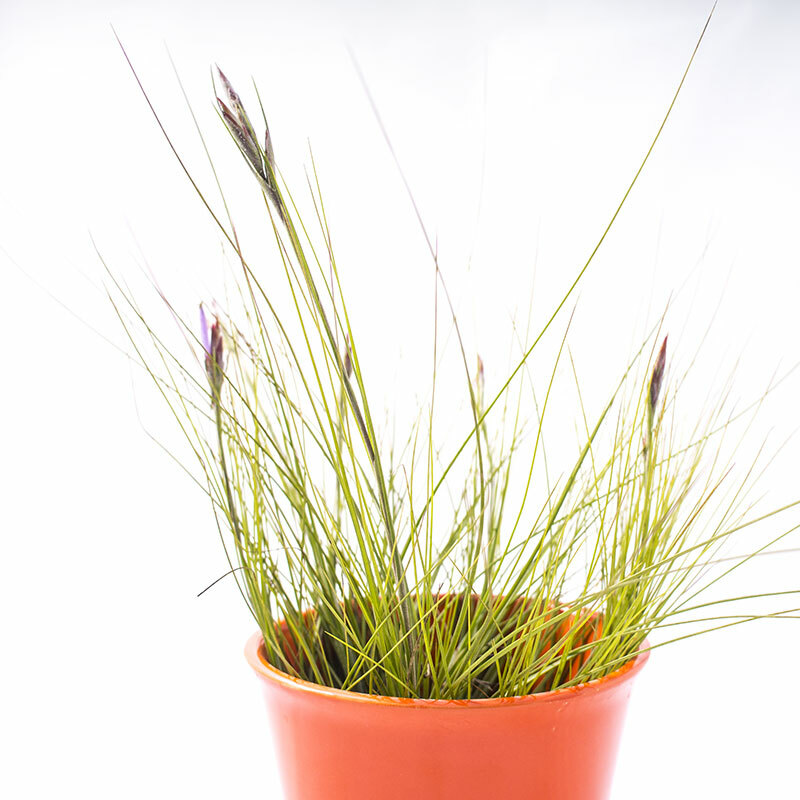 Just be sure the pot drains as like most air plants, it will not tolerate sitting in water. We grow our personal specimens here on the farm in small terracotta pots on our kitchen window sill. They look very similar to wheat grass - without all the fuss.